London is a favorite European city for many visitors, for so many reasons. Whether you’re traveling there on a quick weekend break or you’re there for a few days before moving on to the next big European city you’re going to love this city. 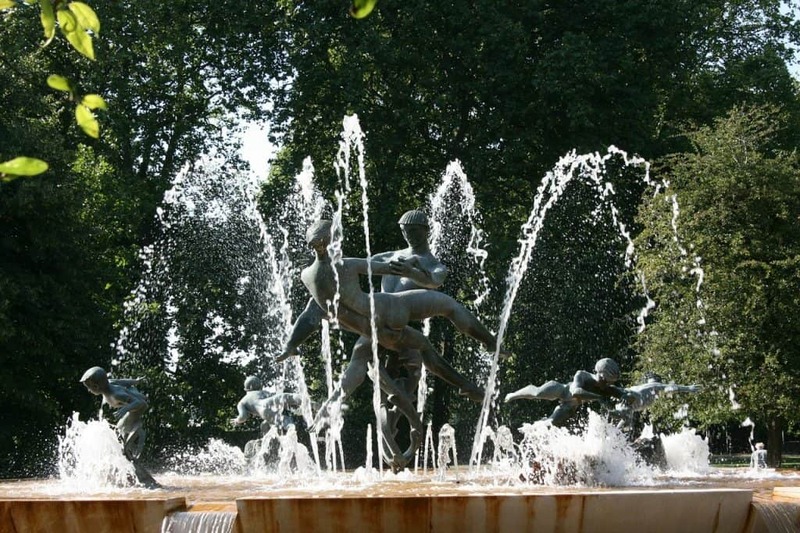 If you’re looking for what to do in 3 days in London, here is the London Itinerary 3 days. Yes, you can visit London in 3 days. Oh London, you hold a special place in my heart. I used to live in London for two years in 2002 and 2003. I had just graduated from university and decided to return to London instead of Edinburgh where I had studied abroad. When I was booking a trip to Scotland for a wedding I decided I wanted to revisit London as it had been 14 years since I had been there and I had a few extra days before the wedding. I excited to visit my old stomping grounds and see how it had changed over the years. I wasn’t sure if 3 days in London was enough but I wanted to see the highlights. Want to know how to spend three days in London? Here you go. We arrived on a Friday morning at 6 am on Air Canada from Toronto. Luckily Heathrow was not that busy and I had planned where I was going to stay based on riding the tube into the city and how far the hotel was from tube station – luggage can be a pain! 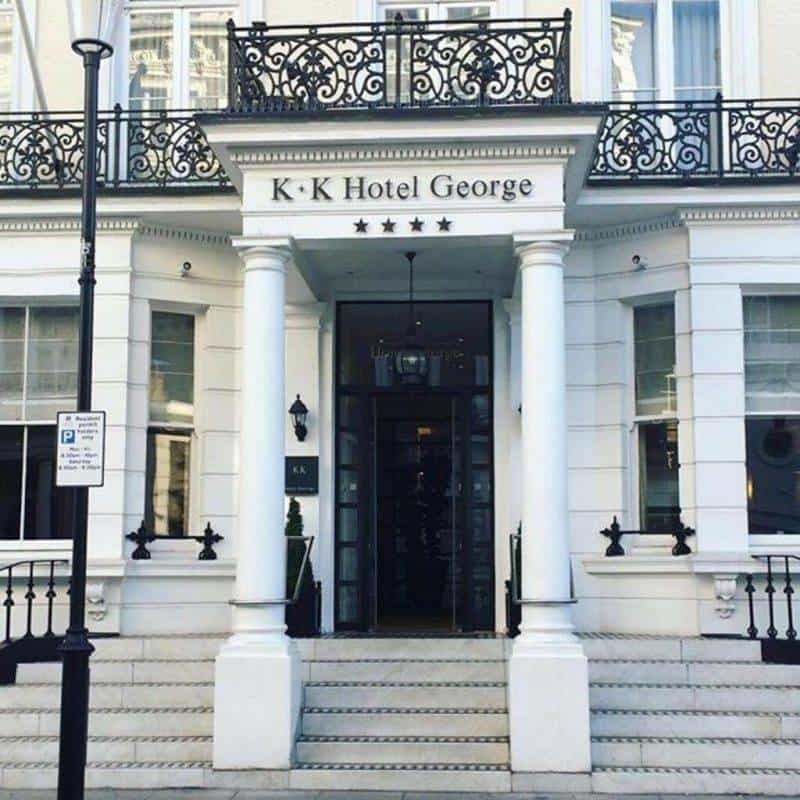 Where to stay – I found the K+K George in Earl’s Court London which was perfect the perfect location for us. I used to live off of the Fulham Road https://www.kkhotels.com/en/london/hotel-georgeand know the area well. It also gave me prime access to West London which is my favourite area. On top of that the gardens are beautiful, the rooms were nicely laid out and the staff were so helpful! Prepare to walk – We put on 30,000 steps a day when we were in London. If you do not want to walk you can take the tube which covers all of the sites. 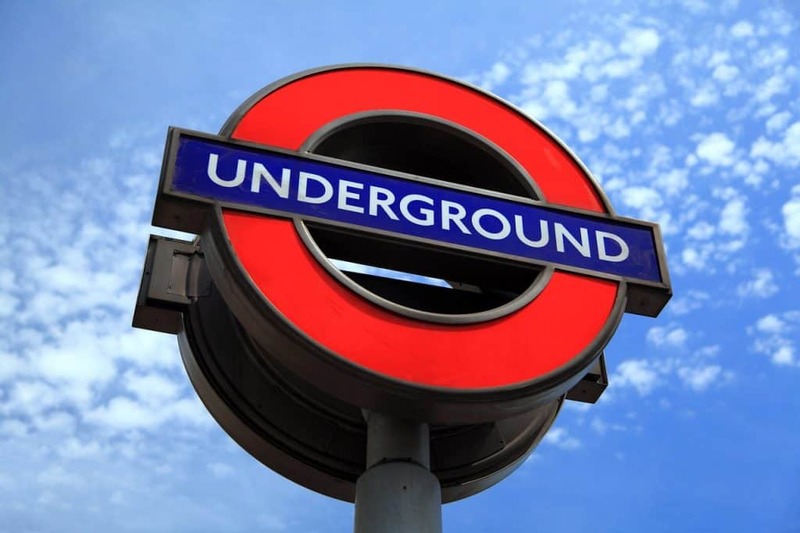 For me, I do not want to spend my day underground and as a Londoner I know that the tube map is not a good representation of how far apart the stations are from each other. My suggestions is to take the hop on hop off buses if you are looking for a day where you can rest but still see the sites. Here’s everything we did in London Itinerary 3 days. Walk to the Natural History Museum. 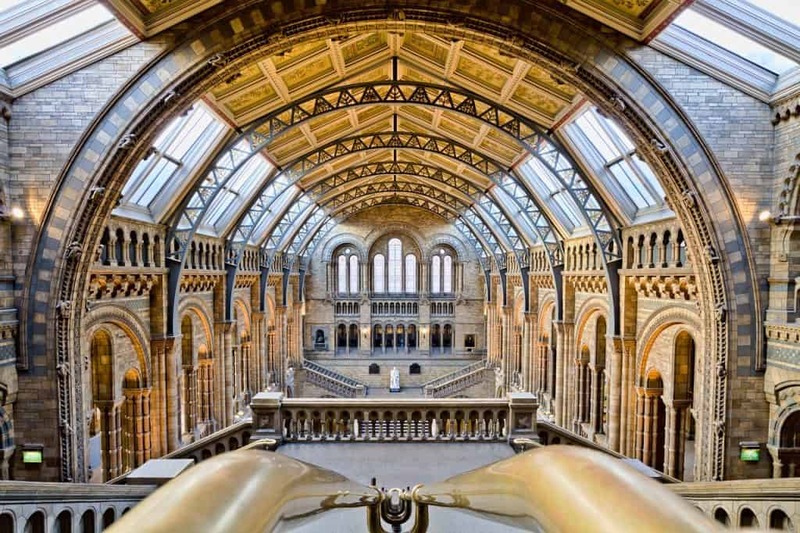 Start at Earl’s Court tube station and walk along the Cromwell Road to the Natural History Museum or if you are not staying in the area head to South Kensington. I had a couple of favourite museums I visited when I was in London and I was able to revisit all three of them. The Natural History Museum for me is always a great way to cool off, get away from the hectic London Streets and check out some cool displays. Yes, another museum but it is right next to the Natural History Museum and this is another one of my favourites. What was really cool though is the museum has now put out a guide of the top 100 pieces to see there. Now I am not saying that is all there is to see but if you have no idea what to see there you can check out these pieces. Its cliché to say no trip to London would be complete without a trip to Harrod’s and I know people who have never been. Since we were in the area we decided to stop for 10 minutes check out the food hall and the escalators and get out. For me its just not worth battling the crowds. I’ve gone there before for a hot chocolate at the café or gone to the pet store to check out the puppies. There is plenty of shopping to do in London. We ate at Café Rouge around the corner from Harrod’s . Just nice and tasty sandwiches for a bit of a break from all the walking. Here is how to really experience London. We went along the lake and tried to use the bathroom but then found out you had to pay. This is such a pain as we actually didn’t have any money. We were heading to Buckingham Palace so we walked through both Green Park and Hyde Park to get there. It was nice to walk in the shade and see some greenery along the way. Ah, the Queen’s Residence. We spent some time at the Victoria Memorial across from Buckingham Palace so we could sit and stare at the building. We had missed the changing of the guard which happens almost daily in the summer at 11am. I wanted to walk along the Mall and head into Piccadilly Circus but we decided to detour through St James Park and then onto Westminster Abbey and Big Ben. We didn’t go inside the abbey as I think it is beautiful from the outside. Check out this post on secret bars in London. This is the point where I was thinking of doing one of the Big Bus tours. If you’ve been to these places before or do not have a lot of time they are so worth it. We were actually walking for exercise so we decided to keep walking. Big Ben was having construction done on it at the time that I was there but I believe it will be finished soon. Another thing to add on is the London Eye. Just across the bridge from Big Ben you will see the giant ferris wheel down the river. Highly recommend this for views of London but do buy your tickets online ahead of time. We spent a bit of time in Trafalgar Square looking around and watching the tourists. Before heading towards NZ House and then onto Piccadilly Circus. This is where all of the European masterpieces are on display. I highly recommend this museum. 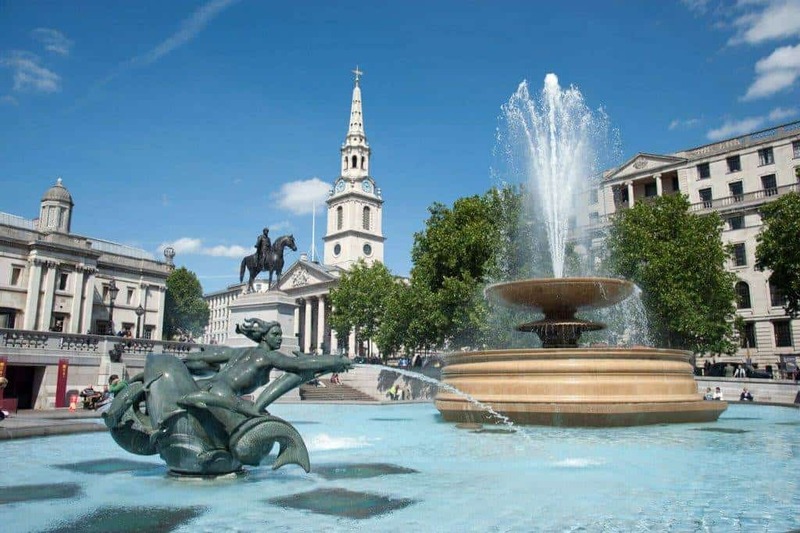 The National Gallery Collection contains over 2,300 pieces. All major works of art are represented here dating back as far as the 13th century. When I lived in London, Piccadilly Circus had a real vibe about it like NYC Times Square. This time I was a bit underwhelmed which is fine so we had a look around on our way to Leicester Square. I have been to a few movie premieres and they’ve always been in the Square. It’s a cool place to watch what is going on and also the start of the West End and the play district. We didn’t have a chance to go to a play or musical this time but I’ve seen all of the major ones while I was here – Phantom of the Opera, The Lion King, Cats, Les Miserables, etc. Go see a show while you are in London. I’ve seen some big names doing plays such as Madonna and Freddy Prince Jr. I had two goals while I was in London 1.) to meet up with my friend Claire and 2.) to try out the Instagram famous restaurant Dishoom. We had an hour wait at the Covent Garden restaurant so I highly recommend booking ahead. This was at 5pm on a weekday. When we were finally seated we ordered a few dishes off the menu. I don’t really like spicy food so I was a little annoyed that you couldn’t order the dishes mild but only medium. When the food came I would say it was good, but not great. Everything was well spiced and well cooked but it lacked something for me. We were starving so we ate everything there and shared a lamb dish that was quite good. Unfortunately, I have to say this was the start of bad food in the UK cliché. And I blame myself. I lived there for two years and never once had a problem and even ate at some of the top restaurants in the city (Hello Ivy). I should have researched this more or had a list of back ups. I mean even writing this now I just think of all the ok food we ate and I feel ugh. This is where we decided to end our day and head back to the hotel as we had walked over 25,000 steps that day so we decided to ride the tube back to our stop and have an early night. I think we did a good job following the Piccadilly line to Covent Garden by walking and it was nice to get off at Earl’s Court and have the shops right there. Covent Garden is the theatre district and where you would go to see a show. This is a pretty busy day but it is the best way to see London in a day. These are the top attractions in West London. 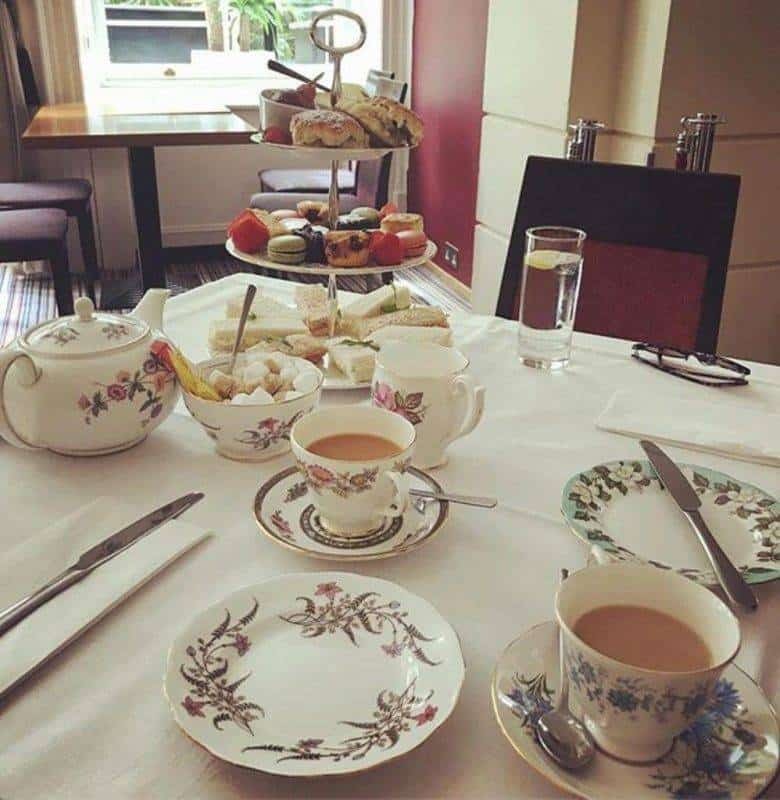 The K+K George is an elegant hotel in the heart of London with an award winning garden. I started my day by having buffet style breakfast which is included with the room and overlooks the garden. Nothing like loading up on carbs before another day of walking around town. Today we wanted to explore farther so we take the tube to Piccadilly Circus and walk up Regent Street and Oxford Street to take in the shops. After wandering around for an hour in the area we stopped off at Baiwei for lunch. Baiwei means a hundred flavours in Chinese and their dishes are very tasty. All the favourites can be found here and new to me dishes as well. Try the long beans! From China Town we decided to walk and talk and take some back roads. If you don’t have the app maps.me I highly recommend it. If you download the app you can also download maps for cities and countries. This is an offline way of having maps and you can also have it take you through the back roads to get to your destination. So that is what we did, we went the back way to Camden and checked out the markets. It was a Saturday so it was very crowded. There are tons of funky little shops, stalls selling cheap goods, and of course food stalls as well. We walked along the Camden locks and there were lots of people walking along there and even boats going down the locks. We walked along the backside of the London Zoo in-between Regent’s Park and Primrose Hill. We made a brief stop at Lord’s Cricket Ground to check it out along the way to Little Venice to have a drink. Back in Camden we ate at Shaka Zula http://www.shaka-zulu.com/ What a cool place to visit. You have to book ahead but if you go during the day you can see how cool it is decorated inside. It is the largest South African restaurant in London and is over 27,000 square feet over at least two floors that I saw. We had some impressive desserts there along with cocktails. It is a really unique dining experience. After 25,000 steps today we took the tube back to Earl’s Court. Check out this guide if you only have two days in London. We started the day taking the tube to Tottenham Court Road to go to the British Museum. This is my favourite museum – where everything is not British! I had a great time going through the old Egyptian and Nubian ruins after visiting Egypt and Sudan in 2015. Another highlight for me is always the Greek ruins but what really grabbed my attention was the Persian pieces. They were so amazing and I can’t wait to go to Iran someday soon hopefully. After we left the museum we decided to head to St Paul’s Cathedral. Its about a 30 minute walk but it was a beautiful day and we wanted to get our steps in. 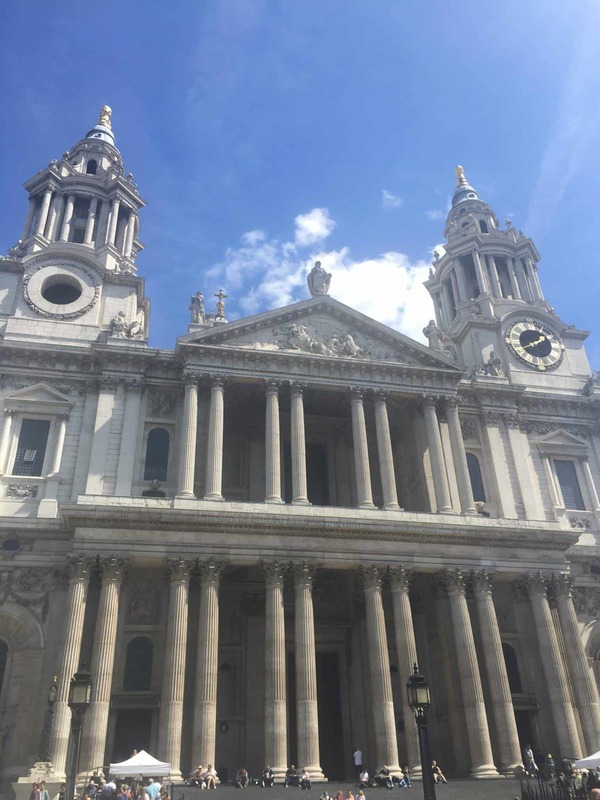 We went inside St Paul’s Cathedral and took a look around. Its an absolutely massive cathedral and of course Princess Diana was wed there. I do not know East London well at all. We found a supermarket along the way and picked up some sandwiches and drinks and ate them along the Thames. From St. Paul’s Cathedral to Tower of London it is a 20 minute walk along the water and you can see Tower Bridge as well. I highly recommend buying your tickets to the Tower of London online. You save money by buying your tickets on line and you don’t have to wait in the queue. Its 21.50GBP to visit. The Tower of London is where the crown jewels are stored and its also interesting to hear about the history of the tower and to see a beef eater! 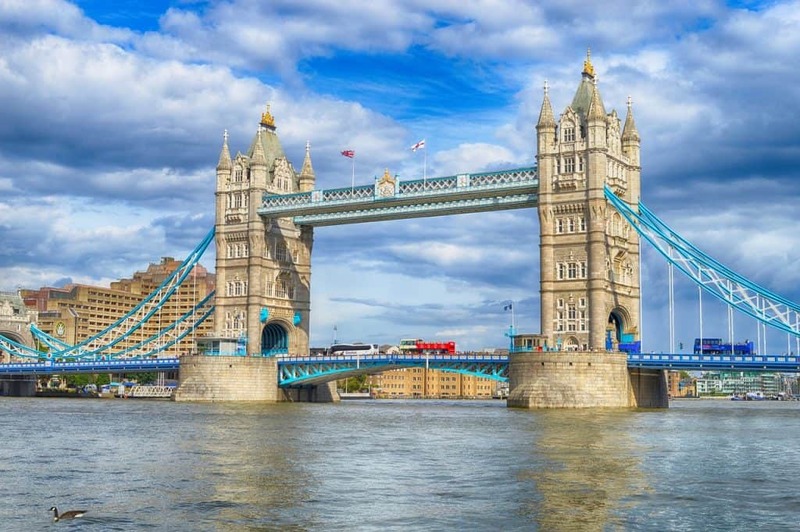 Often confused as London Bridge which is the bridge further up from the Tower Bridge it is located right next to the Tower of London and is the most colourful of the bridges crossing the Thames. We took a quick walk across the bridge and then ended up in Potters Fields Park and sat and people watched for awhile and looked at the bridge as well. We continued on along the Thames and saw the HMS Belfast there and then heading along to the Shard or the Shard of Glass near London Bridge. It is a 95 story skyscraper where you can go to an observation deck called The View from the Shard. Just 15 minutes along the river you will come across the Shakespeare’s Globe. We didn’t get a chance to go in or see a performance but it is really cool to see how this old heritage building is surrounded by present day London. Now we decided to not go to the Tate Modern as it is not my favourite museum. So we took the tube at Blackfriars Station and then got off at Sloan Square. This is when I realised just how much London has changed. Walking down the King’s Road was a completely different experience. It did not look the same at all! So we decided to take one of the Mews Roads and head to the Fulham Road where I used to live. I enjoyed walking down my old road and seeing the park I used to go to and where my friends used to live. We had dinner at The King’s Arms on the Fulham Road. This used to be my local pub. It was quite packed as there was a soccer game on but it finished shortly after we arrived. We each ordered the roast beef dinner with yorkshire puddings which was massive! I couldn’t eat it all but it was a nice meal. We walked back along the terraces through the beautiful streets in the neighbourhood back to our hotel. A total of 30,000 steps that day. Our 3 days in London went by so quickly! If you have more than 3 days in London there are so many things you could such as see such as a play, take a cruise down the Thames, visit further out like the Kew Gardens. I was happy to catch up with friends along the way. 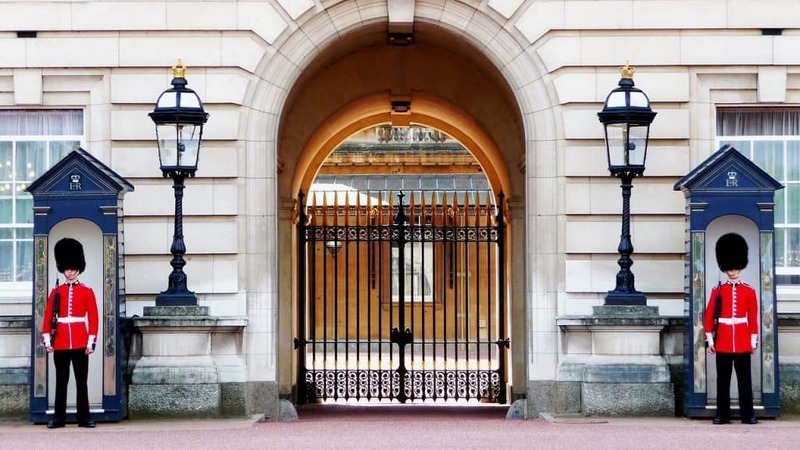 You can check out these London tips for your trip. You can learn more about England and Great Britain. The next day we were off to Scotland to start our road trip. If you are looking for a day trip from London I would recommend heading to Kent to check out the beaches and the stunning coastline and cliffs of Dover. There are also some great walks around London you should check out. It is always fun to revisit places where we lived or studied. Sometimes they change beyond recognition. But I guess London will remain same for years to come. Love this 3 day itinerary of yours. I Those museums are my fav. Walking tour too sounds good to me. The pictures are too good. I hope I can visit some day. So exhausted by the end of the day but it really is a walking city if you have the time. Wow! Your itinerary was packed just the way I like to travel. The last time I was in London was 3 years ago and this is bring back so much memory. I love the London Eye. Oh and my favorite was Buckingham palace. Buckingham Palace and Big Ben are always two of my faves. I haven’t been to London in forever but there’s always something new to discover! I do second the fact that Harrod’s is one of those unmissable stops! Yes Harrod’s is unmissable but I find it a bit tacky these days. You definitely have to go to see what all the fuss is about. What a shame you didn’t research the newer places to eat in London. Depending on which region of the country, Indian food isn’t the most obvious choice if you don’t like spicy dishes – and the trend to authenticity means that things are seldom offered in different ‘heat’ levels, though they are definitely not as hot and spicy as you’d find in India for all that. I’m not sure you can book Dishoom for anything other than a large group either. Things here move on very quickly as I am sure they do in most Capital Cities and we have some excellent places to eat. I hope you have better luck next time. Good that you got to see your favourite museums again and St Pauls, which I personally think is stunning. Did you climb up into the dome or to the whispering gallery? Ohh… I have travelled to a lot of countries but somehow UK has eluded me. These tips for what to do in London in 3 days seems a great way to start. Personally I think London deserves a bit more but If one had limited time for UK then this itinerary covers everything important. London has already been on our list and this is a perfect power packed 3-day itinerary to explore London. The views from London eye will be amazing. 30,000 steps per day will leave one completely exhausted, I guess! Well, I think I covered all the attractions in East and West London, but none of the ones in North London. 5 times there and I still can’t believe how much I haven’t seen. Those restaurants also look great. I’m particularly interested in Shaka Zula, since half my family is from South Africa. 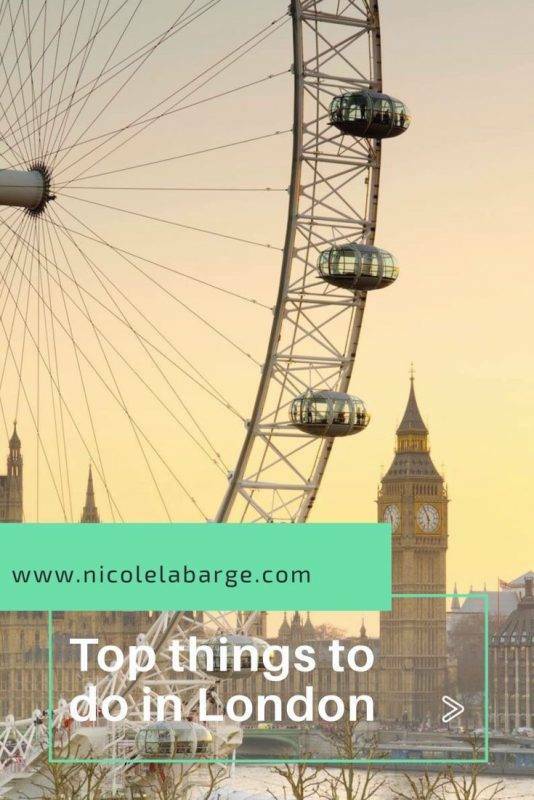 Just so many places to see in London, but this is a great list to follow if you only have three days! 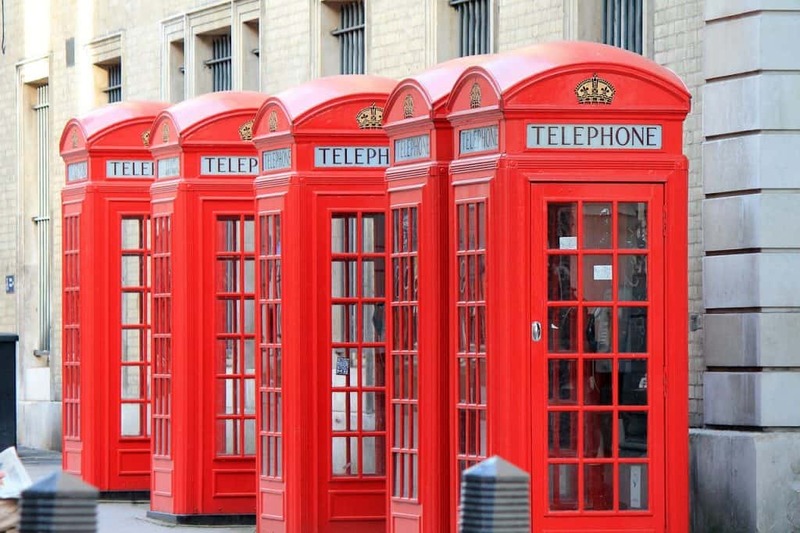 You’ve created a great itinerary for London. 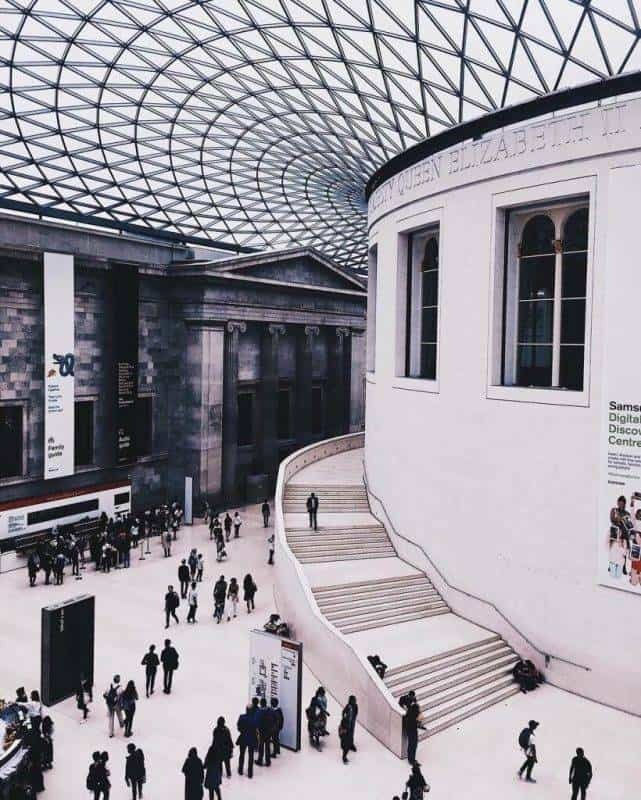 I’d include many of those places on my list too – maybe in a different order as the British Museum would definitely be on my first-day itinerary. The Big Ben, Buckingham Palace, Tower Bridge – all famous and all, also on my list. 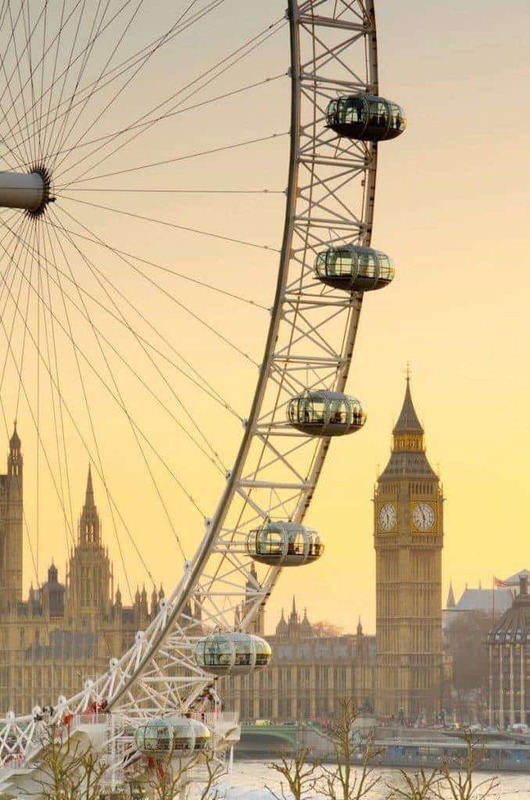 Of course, despite the price, I wouldn’t miss the London Eye – I love ferris wheels!